Central Maryland's WB&A Trail occupies the former Washington, Baltimore & Annapolis Electric Railway corridor—hence its name—for its entire route. The railroad operated electric commuter trains between its three namesake cities from 1908 to 1935. Since its closure, portions of the original corridor have been converted to roads, light-rail lines and rail-trails (as in this case). 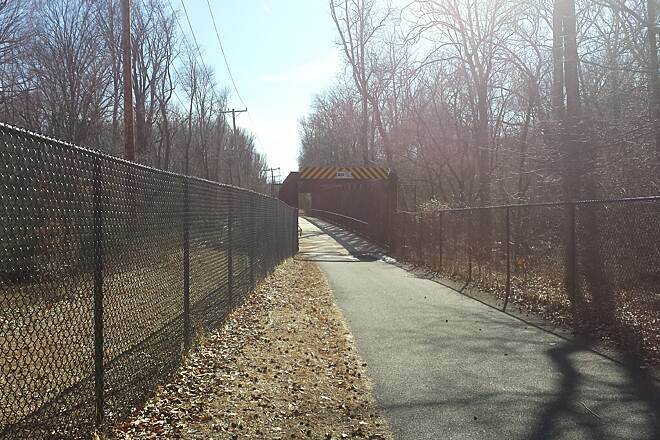 The Washington, Baltimore & Annapolis Trail is currently open in two discontinuous segments, though there are plans to fill in the 1.4-mile gap in the trail between Bragers Road and the Patuxent River. The northern section of the trail in Anne Arundel County runs for 5.7 miles between downtown Odenton and the Patuxent River. 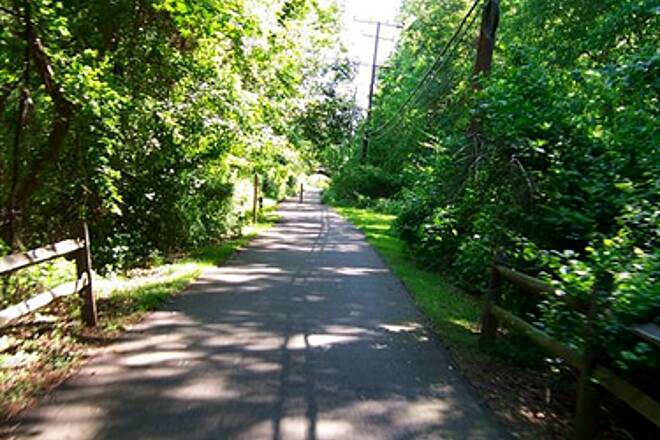 The trail begins by traveling through the suburban backyards of Odenton and Piney Orchard. 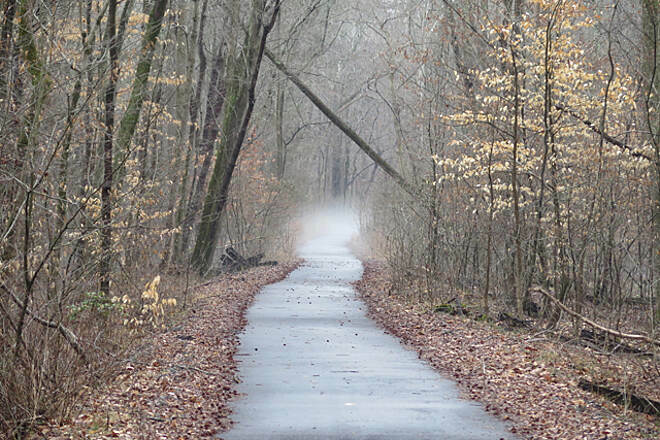 From Strawberry Lake Way to the south end of the Anne Arundel County section, the trail's route is mostly wooded. 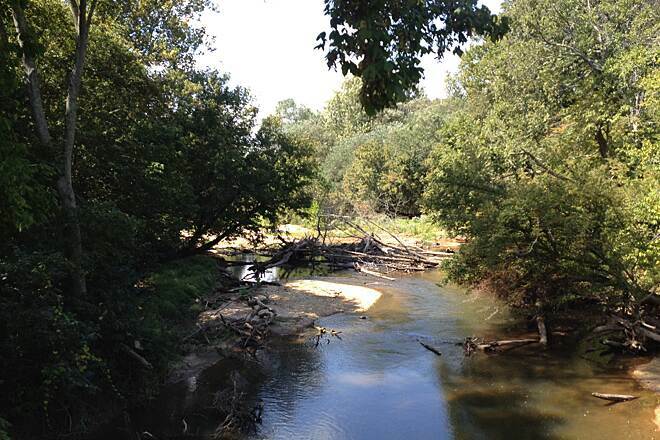 In Prince George's County, the WB&A Trail picks up on the other side of the Patuxent River and stretches 7.4 miles to State Route 450 in Glenn Dale. 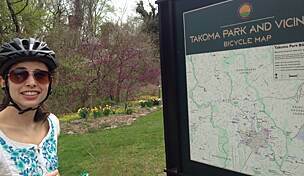 The trail links the suburbs with the park and—like the southern portion of the Anne Arundel segment—passes through a heavily-wooded corridor. This part of the trail features five bridge crossings, two tunnels and two at-grade intersections. 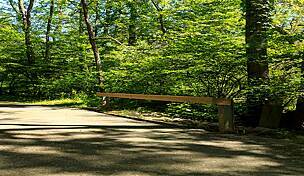 Along the way, you will find rest areas with bike racks and benches. 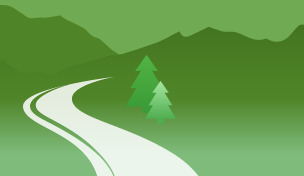 The WB&A Trail is also part of the developing East Coast Greenway, an effort to connect multi-use trails from Maine to Florida. 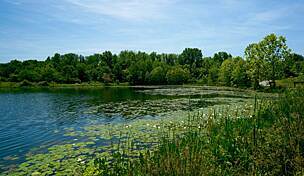 Parking for the northern portion of the WB&A Trail in Anne Arundel County can be found at Odenton Recreation Area on Strawberry Lake Way. 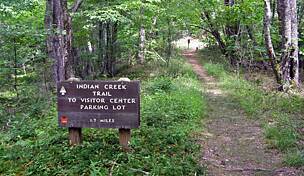 There is a paved path along the suburban road that will take you to the trail; head west from the recreation area for about 0.6 mile. 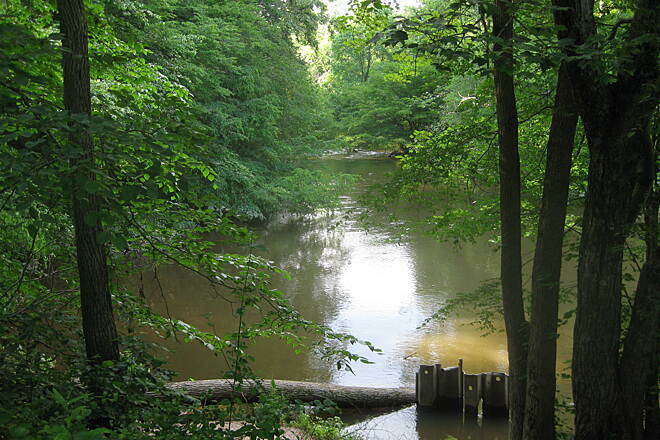 Limited parking is also available off Patuxent Road, 1 mile farther south along the trail (towards the Patuxent River). 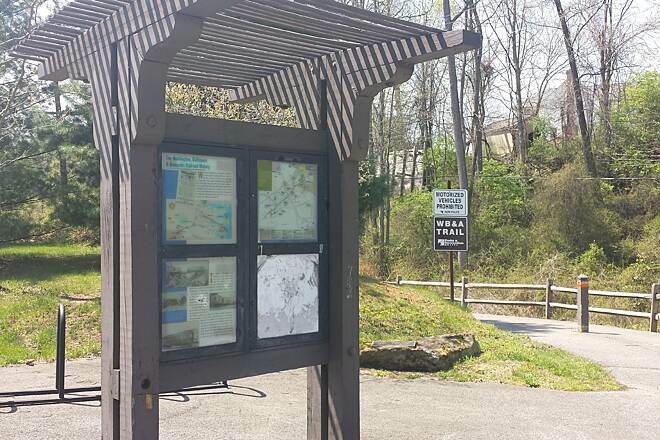 To access the Prince George's County section of the trail, park at the trailhead off Race Track Road (1 mile southeast of the Bowie State University campus). Alternatively, parking is available at the Glenn Dale Community Center (11901 Glenn Dale Blvd., Glenn Dale). 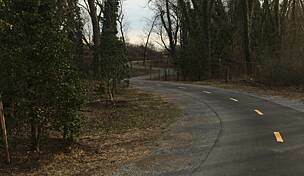 A small dedicated parking lot for the trail can also be found off Electric Avenue just west of State Route 953/Glenn Dale Road. Began the run at GORC park.Connected with trail after about half a mile and headed south toward Conway Road.Nice trail,uncrowded,and well maintained.There are some uphills,etc.Used to live in Gambrills in 1970s and this trail didn't exist.Amazing how a once rural area has now become densely populated. Short, incomplete trail. Not 12.8 miles. Finding a place to park and get on the trail start was a challenge in itself. The start of the trail is at a busy intersection where there isn’t an obvious place to park your car. I ended up having to use the country trail map pdf and navigate the streets around it to find a decent entry point. The trail is still a work in progress and total distance end to end is about 8 miles. When you hit the end you go down a series of s turns to the bottom of the hill where the trail abrupt stops at a dead end. No warnings ahead that the trail stops cold. So then you have to bike all the way back up. The trail is very wide and asphalt seems new. Many years ago I lived on Bragers Rd. The trail at that time was not paved & not maintained by the county. We used a tractor with a blade to plow out in the winter. Some of my family resides in one of the houses between Patuxent & Conway Roads. Reason I am mentioning is that the trail at that point is also a private driveway. They don't live in a McMansion, they live on a farm that has been in their family for 5 generations. Please know that they have to use the trail to get to their homes. That all being said, I love the trail. My husband & I are getting back into casual bike riding. The trail is very level with only one spot that is a little challenging but we are getting better. It is amazing how different it is now. There were a lot of man hours that went into clearing the trail. We also love the new parking at Patuxent Road. Very convenient to head either North or South. Finally, a great project using tax money! At 65yrs old, I am rekindling my riding skills. Went in at Glenn Dale Splash Park and rode 5.5 miles up towards Bowie State. Great ride. Maintenance was trimming and mowing and blocked some parts but mostly easy to navigate around. Path is relatively flat with some long inclines and declines. I rode from 10-11 and had good shade in many parts of trail. Enjoyable ride. I'll go back. Reading all the comments, it's clear that the whole bridge issue is going on for many years now and that there's no will to make a change any time soon. Which is a huge shame by the way! Does anybody know an alternative route, or even a crossing, doable with a mountain bike? I'd love to commute (Odenton - FedEx Field) using my bike, but I'd rather not get killed on MD 3 or on other crazy roads. My directions started me in the middle, with parking only on the street. I started at Strawberry Lake Way and went south to I believe Brager's road. At the "end" there was no signage but I stayed on a sidewalk past new housing construction. The sidewalk may have been part of the trail but it was not marked. It continued across the road and down a hill going South but I had had enough hills and turned around and went the full 3.8 miles north to Odenton. The trail is nice for exercise, a bit hilly but not extreme, since it was formerly an electric railway. It is not for those looking to get away from civilization, as most of this section is suburban. However I did see a bald eagle at a pond along the way. I may come back to explore south. I am amused and annoyed by reviewers who say they are "disappointed" because the route is not through wilderness. Folks, stop whining, look at a map and other reviews before you go! The directions this page gives spits you out into the middle of the trail; very disappointed by how much of the ride was through a bunch of housing development. Couldn't even find the last section of the trail due to a lack of signage. 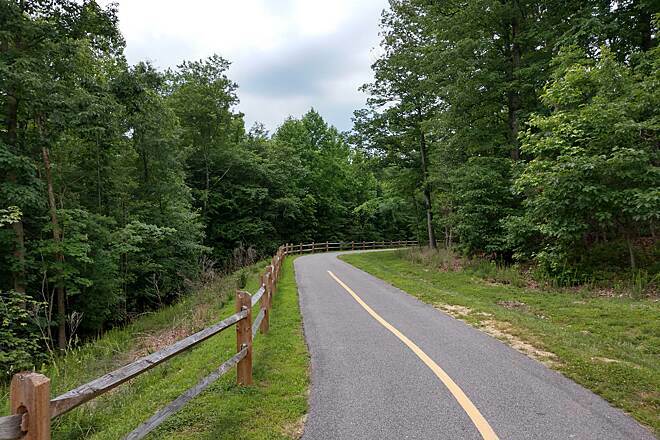 I will say that while AA county had control of the northern section beginning in Odenton and proceeding southward to Conways, that the trail is well maintained and good for a good riding for an hour or two in the daytime. It is the Two Rivers development that pretty much ruined everything. In the 1950's for those that don't know, I believe it was the Meyers family that had a toll bridge across the Patuxent that followed the power line right-of-way across the river to the Back lot of the Bowie race track. The bridge is long gone. One would expect that the State would put up a bridge and maintain it for the bikers and hikers. But they turned the project over to the developers. The trail now goes a couple of miles away from the original crossing, so you have to proceed northwest of the original trail, take a bunch of switchbacks down to near the river (within 90 yards by my measurement on Google) and then one day (probably not in my lifetime, nor yours either) they presumably will build a bridge across the patuxent, but this will connect at the end of Jericho Park Road (which is another mile or so away from the original WB&A trail) so bikers and hikers really have to go wayyyyy out of their way just to connect with a trail that should have been a dead simple crossing to link up, into an excursion that takes everyone away from the developer's precious Mcmansions. It's really too bad the state and county caved to these idiots, but MD is the proud owner of the finest politicians money can buy. I had hoped originally that I would have had the opportunity to bike to work in DC, but once again, I don't think that will ever happen, not in my lifetime, or yours. 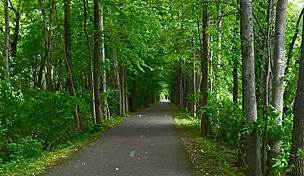 I was out on a long bike ride in Anne Arundel county and decided to check this rail trail out as a short diversion. 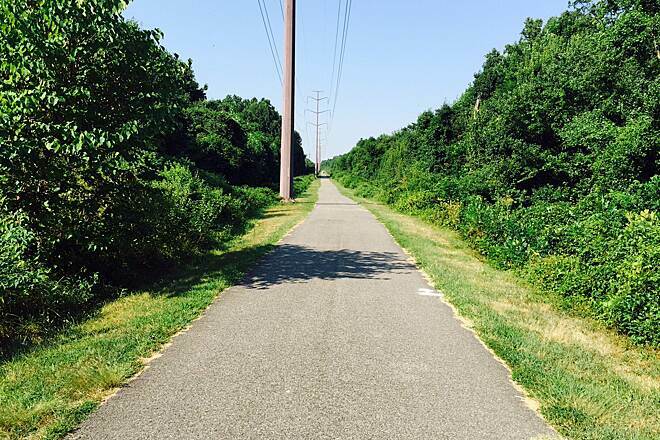 The trail head in Odenton is really a side walk that quickly becomes a paved path. This north segment of the trail wasn't too bad. 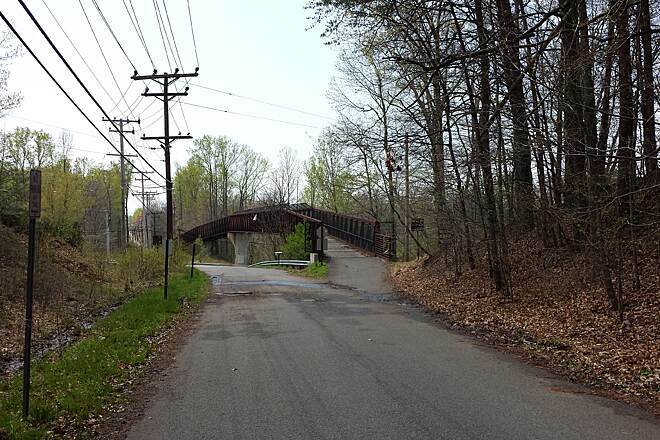 The crossing at Waugh Chapel Road is a little weird, but overall the trail is pretty nice. One thing I liked about the entire route was the bulk of it is in a deep cut with plenty of surrounding trees which provides a significant amount of shade. Lots of walkers and runners, not many cyclists, but it's a relatively short trail. I was disappointed to get to the end of the trail only to find myself in the middle of a new "over 55" development built right across the original path of the railroad's right-of-way. After wandering around a little on the roads I decide to return to Odenton. Checking on-line maps show that the southern end of the trail was about a quarter mile south of where I stopped and I assume it couldn't be reached directly on the trail based on the TrialLink description. Hopefully, in the near future things can be worked out to connect the north and south segments. Getting Closer to Connecting North and South? I biked the trail on October 11, 2015. I parked on the north side of Patuxent Road, at a designated parking area that fits four or five cars. I rode my bicycle south on the asphalt path (less than one mile) to about 100 feet short of Conway Road. A big sign made it clear that the path was closed ahead, and about 50 feet later, an orange construction fence blocked my path. But I was able to get around it easily by traveling on a well worn grassy path to the left of the fence. I continued on the very new asphalt path. It's worth repeating that the sign just north of the orange fence made it clear that the path was still closed. Perhaps because of new construction ahead. The asphalt path intersects with Conway Road and what would have been Bragers Road. Back to the bike path in a moment. It's worth mentioning there is a new development called "Two Rivers" straight ahead of you. It looks like it's going to be a small city. I mean, it's huge! The development has completely obliterated what used to be Bragers Road. If you were driving your car west on Conway Road, you would turn left and drive up hill into the new development on a road now called Two Rivers Blvd. If I'm making this too confusing, just check out Google Maps. I looked for Bragers Road from Two Rivers, but I could not find it. Back to the bike trail. Turn right onto a brand new asphalted hiker / biker trail and take the easy uphill grade about 1/3 of a mile up the hill. A well marked crossing takes you across Conway. Then a really cool, new asphalt trail winds down several switchbacks toward the river but ends after about a mile. A dirt and grass path continues. I rode my hybrid bicycle about 1 more mile until it became too soft and perhaps a little muddy. And it was getting late, so I headed back. Going back up the hill wasn't bad at all. Whoever made this trail attempted to make it relatively easy to ride uphill. They did a great job. This was a surprising, but really fun short trip. Once the north and south ends are connected, this will be a five star trail. 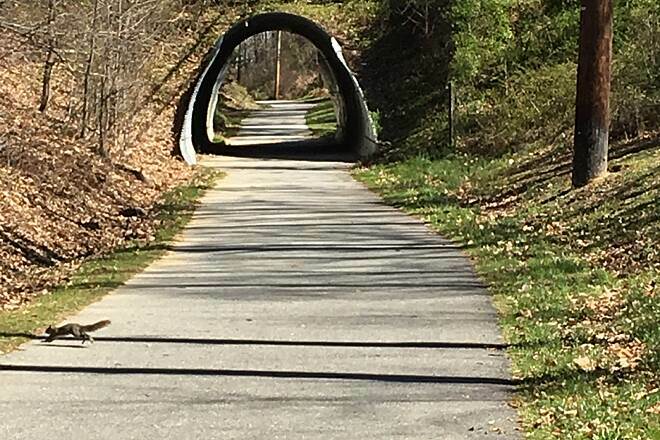 If they figure out a way to connect the north end to the BWI Connector and the south end to the C&O Canal Towpath, then it will be worth six or seven stars. Cannot say enough nice things about this trail. 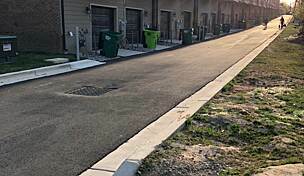 It's fully paved, and throughout most of its length isolated from the urban world around it. Much of it is entirely wooded, and in some stretches shaded, and all you hear are the sounds of nature. There are several bridges and tunnels that keep you away from the roads and railroad tracks that the trail crosses, and in a few places you are traversing behind the back yards of homes. There is one brief stretch where you are on a quiet neighborhood street and a couple places where the trail is shared as a driveway to some nice rural homes and beautiful horse farms. The trail is well maintained, clean, and uncrowded. The people you meet along the way are friendly. I have seen deer, bunnies, a possum, goldfinches, cardinals, owls, and countless other birds. Once I had to stop along with a lady walker to allow 6 or 8 frogs to cross the road. I usually park at the Electric Ave. parking lot. If you go there be sure to check out the beaver pond the trail crosses over on a bridge, you're sure to see several painted turtles sunning themselves on logs. 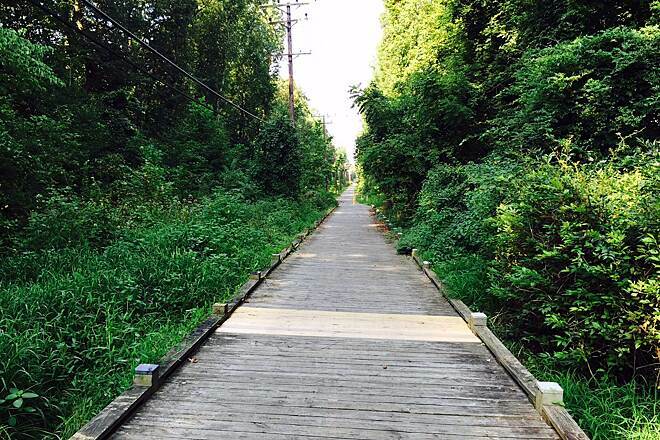 The only bad thing I can say about this trail is that it's a shame they haven't yet built a bridge over the Patuxent river to connect the North and South sections of the trail. I have not yet ridden the North section. Maybe one day soon. We really enjoyed this nice, easy and peaceful ride. Just the right amount of incline for beginners. We rode early Saturday morning and didn't encounter too many joggers or bikers. Minimal traffic. I attempted to use the woods as a bathroom and became covered in spider webs and received a spider bite to the ear. Watch out, folks!!!!!! This trail was relatively easy to walk, but small portions are isolated and would make me feel uncomfortable if I was alone. Just a word of caution-there is an outside shooting range along a small portion of the trail so don't be startled when you hear the gun shots. I am a new biker. I enjoy the quiet and the work-out. A few hills that work the legs and are good training for a beginner. 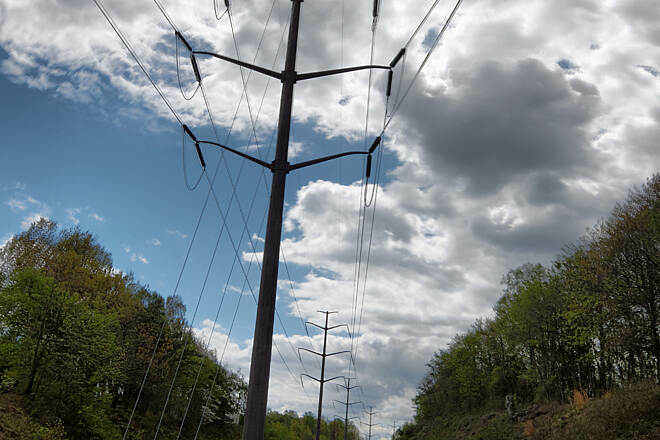 PEPCO just trimmed the trees on the trail (September, 2014). I so wish the community would settle their disputes and connect the paths. It says the trail Is 10+ miles I've traveled it a few times and I think it's probably 8 at the most , did arial few of the trail and it showed me another part of this trail on the other side of the river that I don't know how to get to. All in all I love the trail . New biker. Great trail. Nicely paved. We tried to start at Mile 0 (Seltzer St at MD 450), but there is no parking there; my mistake -- I asked the TrailLink map for "directions" from my house to Mile 0 instead of to designated parking. 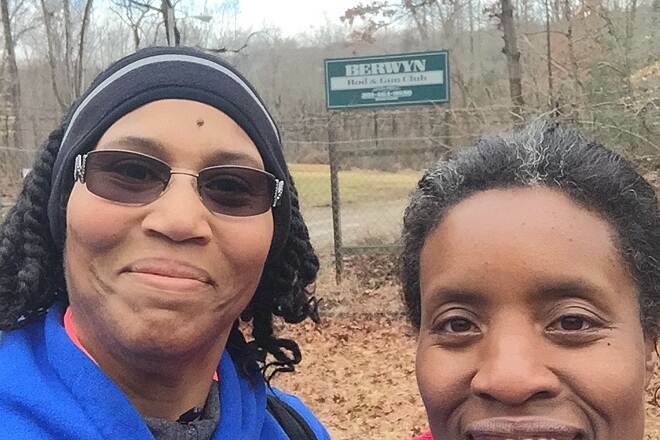 We eventually located the lot on Electric Ave (about Mile 1), biked to the Patuxent River (Mile 6) and back, then looped around the Mile 0 marker just to say we did it. We were momentarily confused about the trail's direction at the Glenn Dale Rd crossing, but figured it out (just follow the power lines!). The trail wasn't crowded, but we met a variety of people, young to old, amblers to power-walkers, serious gearhead bikers to kids on training wheels, even a skateboarder being pulled by a friend on a motorcycle (safety concerns aside, I'm not sure that was appropriate, although parts of the trail are "shared" with autos and motorized vehicles). We spotted squirrels, a rabbit, and many cardinals. 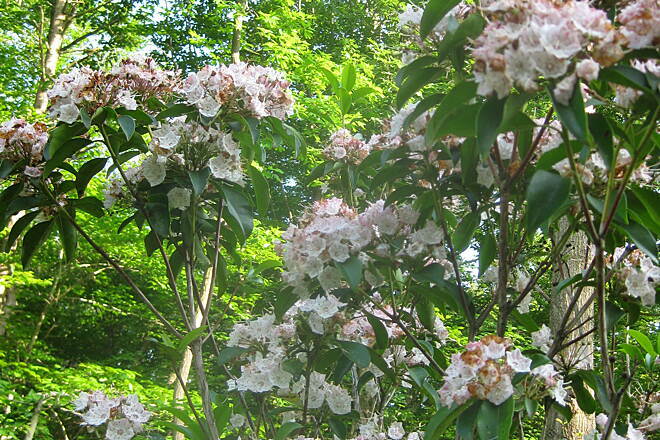 Around Mile 5, there was some mountain laurel in bloom, just past its prime, but still pretty (I'll try to upload a picture). The asphalt path was in good shape, except for a series of bumps north of the wetland boardwalk section by the parking lot on Electric Ave (it looked like the serious bikers were just staying on Electric Ave at that point). Fellow trail users were friendly and polite, and even the neighbors in adjoining yards smiled and waved. A nice Sunday evening ride. I have rode this trail countless times love it since it is only 2.3 miles from house i can ride to it and the trail over and over. like it alot only problem i have had dont know if anyone else has had this two squirells have ran out on me and i just kept on going not sure why they did that. I just visited this path for the first time today. Being a late Thursday morning, I guess one would expect traffic to be quiet. I passed maybe 6 other folks each way along the 3.8 mile stretch. Since I live in Bowie, I parked at the tiny lot at the Bragers Rd trailhead. There was one other car there when I got there but my car was the only one left when I got back. I have seen that lot pretty full on a Friday evening, though. There isn't much in the way of scenery, mostly trees. There is a bridge that crosses over a river and some houses from the Piney Orchard development are visible. What did excite me most was the discovery of a side trailhead for the Piney Orchard Nature Area about 3/4 mile up the WB&A trail from the Bragers Rd trailhead. I am anxious now to go back and explore this area as well. Overall I will visit this trail in the future for the quiet and the mile markers that help me with my running training. 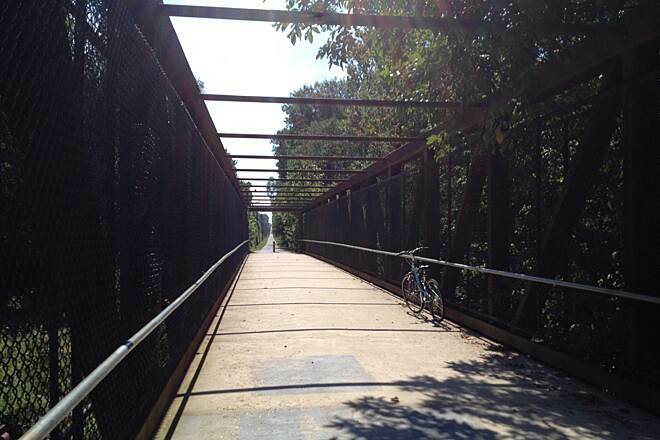 Can anyone help me find directions from the Southern trail-head to the New Carrollton Metro station without biking on the highways? It is fairly disappointing to have such spotty construction of the biking trail covering the WB&A rail spur. For those of you that don't know, the bike trail actually has a northern end at the intersection of Odenton Road and Piney Orchard Pkwy. There is a gazebo constructed there so you can't miss it. The trail continues a few miles to the south through Piney Orchard (one of those recent ill-planned communities) and continues past Patuxent Rd and onto a nicely rennovated road past some private residences (Bragers Rd) but once you get to the BG&E power line easement the trail ends. There is a sign there that it will be finished at some point in the future. 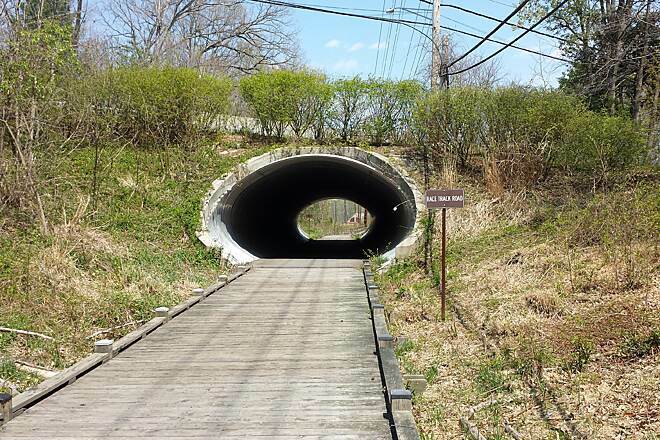 The northern end of the WB&A trail has several tunnels and bridges along this route and for the most part is not heavily traveled and is for the most part shady. The inclines are easy for the experienced riders. If you follow with a GPS (as I do) there is a gravelly southern extension that heads south about 100 yards to Meyers station road. "In the old days" you would have been able to go further south past the gravel pit and brick yard and cross the bridge across the patuxent. The sad part about all of this is that MD now has stimulus money, but as far as I have been able to find out, are not planning on completing the trail with the southern end. 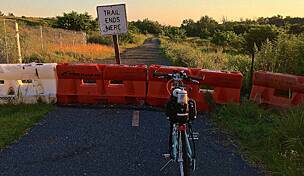 The issue at hand is building a bike trail through the Meyers property near the Patuxent river and a bridge that crosses the river. 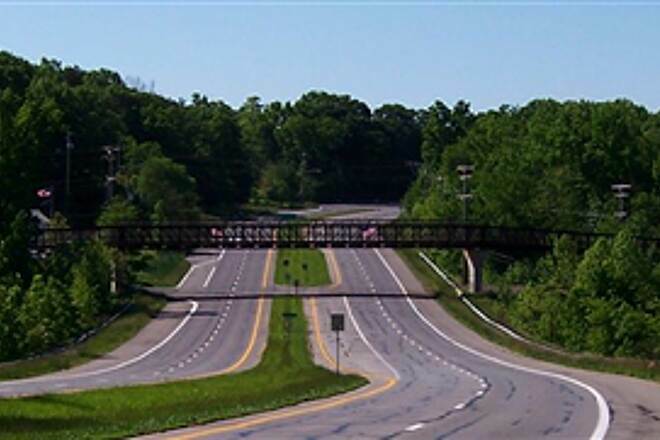 Back in the 1950s era there was a series of private roads and a toll bridge constructed that allowed people from the Patuxent and Woodwardville areas to get down to Bowie and the race trace without having to travel down Route 3 to the east. The bridge doesn't exist anymore and would have to be constructed to standards for the bike trail, but come on, DNR, how hard can this be? This trail is nicely paved and scenic. Started at Race Track Road, mile marker 6 and went to 2.5 and back. Only noticed one port a potty at the beginning, though. Nicely shaded areas as well as full sun in others. Walkers, watch out for bikers with no bell when passing, and keep to the right as much as possible. "Main trail great but short at only 5.6 miles. Couldn't find the new extension as described unless it was the muddy, puddle filled, soft gravel trail. Better traversed by 4 wheel ATV. Did find a paved extension of 0.25 mile to the Pax River. " 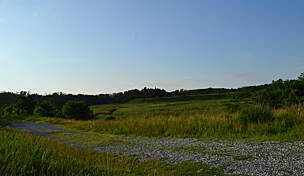 "North from WB&A Trail mile 5.8, 250 yards east of the Race Track Road WB&A parking lot, a new 1.75 rails-to-trails hiking-biking trail now constructed entirely on state and county lands (as of 2002) that follow the old Bowie Race Track rail spur. 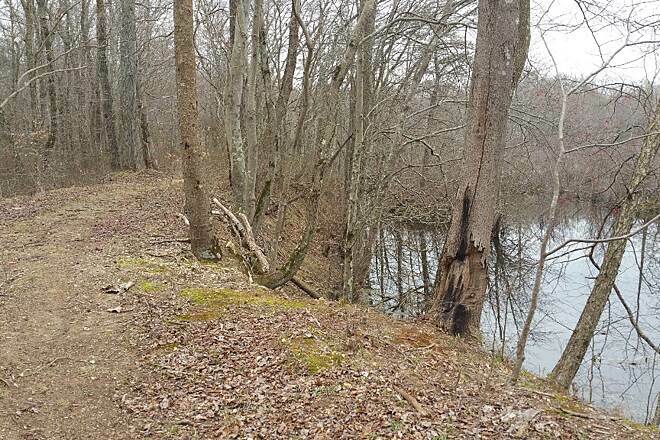 Short side trails at any point to the east lead to the Patuxent River. 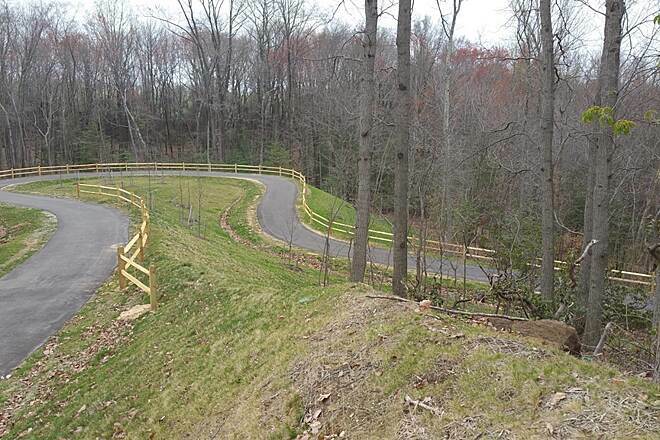 Short side trails after a mile to the west lead to ponds and nature trails behind Bowie State University. 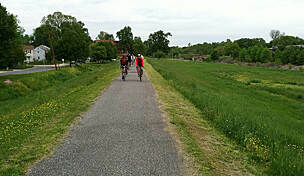 After 1.75 miles on the main rail-trail trail users cross under the Amtrak line for an additional two miles round trip in the Fran Uhler Natural Area or 0.75 mile to parking on Lemons Bridge Road. There are lots of wetlands, beavers and birds. "